Bringing a friend? No problem. Our FLEXGuest program lets you bring guests whenever you want, as many times as you want. With FLEXGuest, members may bring guests, including repeat guests, on an unlimited basis; one daily guest per member visit is included. FLEXGuest may be added to most memberships for $19/mo, it’s month to month, cancel anytime with 10 days notice. Our ‘Basic Training’ membership, which includes all access membership and a personal training session every month, includes FLEXGuest. Each guest must complete the Guest Register upon each visit, even repeat guests. For safety and security, a valid ID is required to be on file for all guest. We do our best to keep each guests ID on file, but we highly recommend your guest always brings their ID. 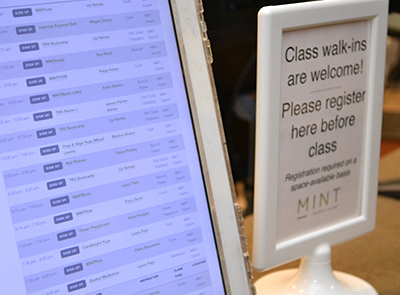 When a member invites a guest to join them at MINT, the member is considered the guest’s sponsor and must be present at all times the guest is on MINT premises. Guests must be at least 18 years of age. Guests age 16 and 17 are only permitted if they have a scheduled appointment with a MINT Private Trainer, or other certified MINT Instructor. For Non FLEXGuest members: A discounted guest fee of $19 for one person, $24 for two people, and $29 for three people, is available (all referring to guests during the same visit). 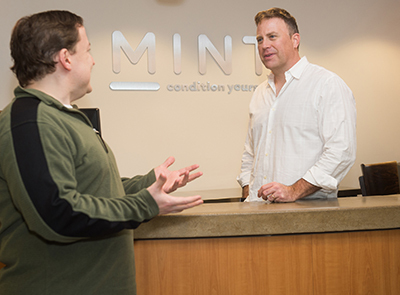 When any of your guests join MINT, as a thank you, we’ll give you and your new member buddy a $50 Gift Card each! Questions about FLEXGuest? Email us at condition@mintdc.com.